Chance The Rapper, Fetty Wap, Big Narstie and more hit the stage at Finsbury Park's Wireless Festival. These are the must-see photos. 1. 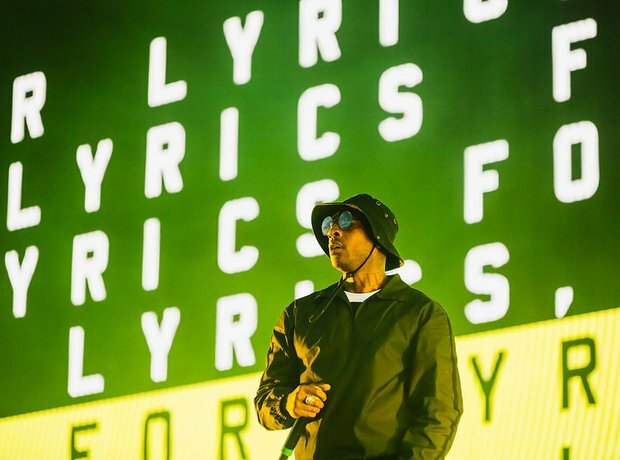 Skepta shut down Wireless Festival day two as the headline act. 3. London was lit up at the festival. 4. Kylie and Kendall Jenner watched Travis Scott from the side of stage. 5. Rae Sremmurd had the crowd going wild. 6. The crowd were on top form. 7. But first Lil Yachty killed his performance. 9. Chance The Rapper headlined the main stage on day one of Wireless. 10. Check out that King Barack Obama t-shirt! 11. As the sun went down on Wireless Festival the stage lit up. 12. Fetty Wap performed his biggest hits on stage. 14. Did you manage to catch NoName at Wireless Festival? 15. G-Eazy brought the summer vibes. 16. The crowd soaked up the sun at Finsbury Park. 18. Here's Post Malone in action. 19. How about that views?